Do you feel that whichever way you vote, the dominant politics of the powerful is always a predictable mixture of economic and military control over the rest of us? What if we started to think about power in a different way, so that instead of dreaming that a benign ruler will save us, we broke power into small pieces that everyone could hold? 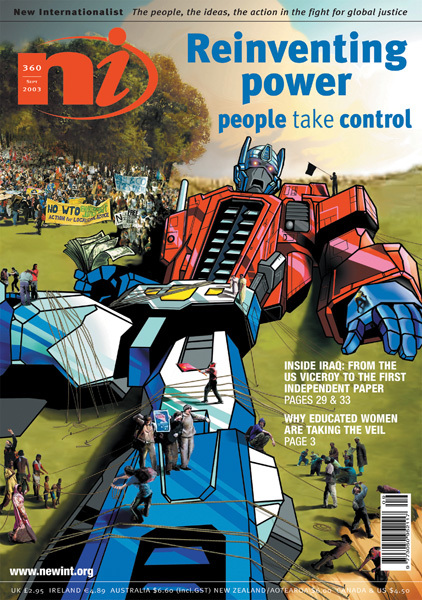 This month's NI takes us beyond traditional state and party politics to discover the possibilities of 'power from below'.